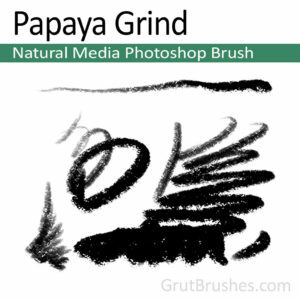 ‘Papaya Grind’ Photoshop Oil pastel Brush. A thick starchy oilk pastel brush with a fine clingy texture and a fadeable edge. With a very fine tip at light stylus pressure it also spreads to a wider tip and comes on relatively strongly with slightly heavier pressure, though it still requires a few passes to cover your image surface completely. So Konwet, the latest ink brush in the store is a runny ink brush with an edge that bleeds as if you are drawing on a wet paper towel. A variable sized allows you to do fairly detailed work at low pressure but the brush really excels at broad gestural drawing. 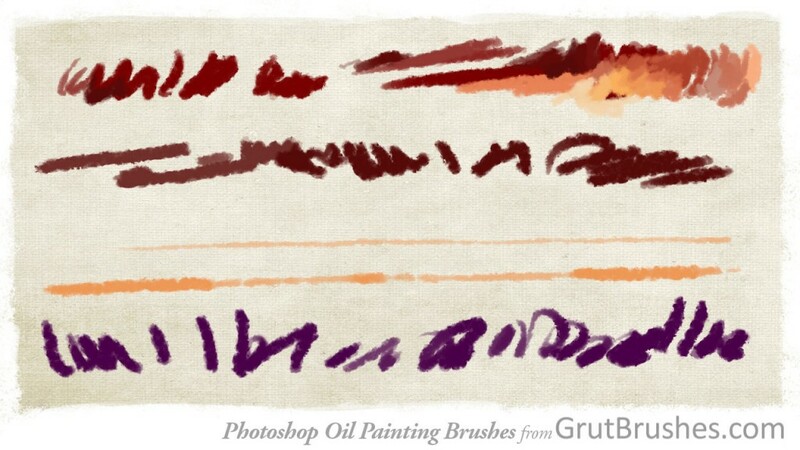 Brush stroke samples painted with the Dodo Stroke Photoshop watercolour brush.